Tips to Get Business Teams to Use Your CRM System and she also runs a marketing communications firm focused on helping organizations better interact with their customers, employees, and partners. Having a great new customer relationship management system won't be worth much until you figure out how to get everyone to use it. CRM experts provide tips on how to get members of your sales, marketing and customer service teams to actually use that expensive new CRM system. Congratulations on that purchase of a new customer relationship management (CRM) system. Now if only the people on the sales, marketing and customer service teams would use it. To help you keep that expensive software investment from being a write-off, CIO.com queried dozens of CRM experts on what organizations can do to get employees to routinely enter data into and actually use CRM software. Following are their top 13 tips. Keep the users involved in implementation. It is much more difficult for users to adapt to a system they are seeing for the first time. 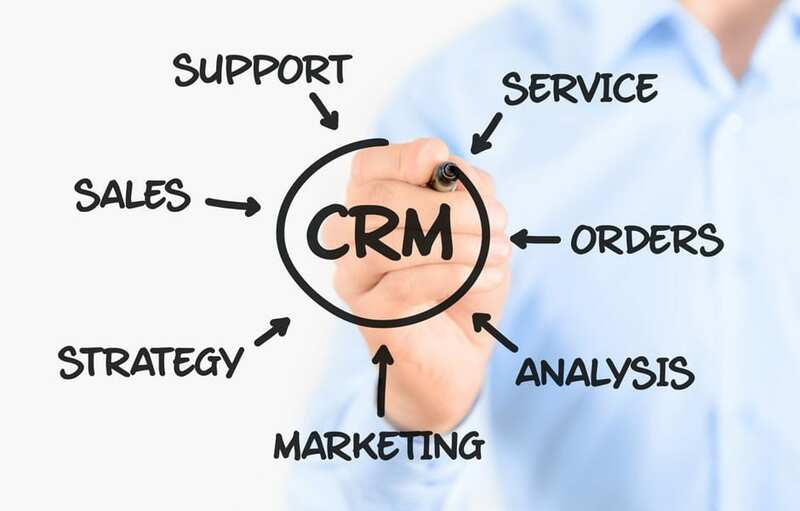 If you include them in the implementation process, they will feel more of a connection to the new CRM system when it comes time to use it. Play up the benefits. Everyone should be informed of the benefits of entering information into the CRM system to encourage its usage. Entering data is the hardest part, so starting with this may push users away at the onset. Showing users the benefits upfront allows them to see the end result before the first piece of data is entered, which typically serves as positive motivation. Provide adequate training. Train employees on what they need to know and not on all the bells and whistles. These can come later. Training people how to use your CRM solution is not a one and done activity, but a process to create awareness. Employees will be more inclined to adopt this system if they are eased into it. Similarly, it is important to provide ongoing CRM training, to new hires or those who may need a refresher course, as well as to rollout new features. Identify superusers. During implementation identify the two or three groups who will use the system most and ensure that these groups are involved in and feel part of the design process. They will become evangelists [for your CRM system] and will ensure that other users in their group adopt the system early. Keep forms simple. Sales people are busy, so to ensure your sales users can quickly enter data about a lead/opportunity, make sure there are no more than five fields to complete. Don't bombard users with features. Make sure your system is as simple as possible for what you need. If you need a full blown Salesforce CRM system with every feature possible, so be it. However, most companies can get more people using more features if you only give them what they need. With today’s new development processes it’s much easier to add new features when the need arises. Provide customer support. Make sure to have all the information [regarding use of your CRM software] available and easily accessible, so customers don't need to call support for common how-to issues. Make sure high-level executives are using it, too. Nothing gets an employee's attention like when a CEO sends an email, "I was looking in the CRM and did not see....',"
Make it fun (and competitive) and reward use. Turn it into a game--with badges, leaderboards, rewards and public recognition. Salespeople are competitive. Play to that. Foster cross-departmental communication. Cross-departmental communication is key. Any new system potentially impacts everyone--marketing, dispatch, the call center, even the systems operations center examining a network. They ALL must understand the benefits for a successful adoption. Marketing can't sell products if the field can't deliver it. The CSRs can't enter requests if even one part of the system is ineffective. With all these interdependencies, making people across all departments aware of what's going on and how it impacts them is imperative. Check that your system is mobile-device friendly. Today's sales teams use a range of smart devices, such as tablets and iPads. They expect to have access to information while on the move. And of course it makes them more effective if they can [access the CRM software] while out of the office, to help them close a deal. So make sure the CRM solution you deploy is mobile-device friendly. Have your CRM be a one-stop data hub for your sales team. It's critical to move customer data information from various systems like marketing automation and email into the CRM to create a holistic customer profile in one central location. By freeing the data from silos and centralizing the information, all stakeholders can find the customer information they need, where and when they need it. By enabling sales teams to access all information they might need from a single place, the sales process can be streamlined and they will see the true benefits you were hoping to achieve. Did you know IT Solutions’ Application Development department can assist with CRM rollouts and customizations? If you are interested in support on selecting or deploying a CRM system or integrating it with other company systems, contact your VCIO or Jim Higgins. Source:Author, Jennifer Lonoff Schiff is a contributing writer to CIO.com and she also runs a marketing communications firm focused on helping organizations better interact with their customers, employees, and partners.